As one of the most played table games out there, it’s more than evident that Blackjack packs a good punch in terms of fun and entertainment. And with a heavy dose of strategy that can be applied to the game, it’s certainly one which is not worth missing out on. Once you’ve got your basic Blackjack strategy down, it’s time to take things to the next level by learning Blackjack Card Counting. In our guide below, we outline how to count card at the casino. We’ve also curated a list of best Blackjack online casinos to play at too. Card counting in Blackjack might look like a hell of a lot of work to learn, but it’s really not that bad in reality. There are several different methods out there to choose from that are often employed by gamblers in the hopes of securing them a win eventually. Yet, before you get down to trying to learn how to use the strategy, let's go through a few things you should know before learning how to count cards. You should choose the best blackjack table with the best minimums and maximums. The most basic of these systems, and the one featured in “21,” is known as “Hi-Lo” and was pioneered by the granddaddy of all counters, Ed Thorp. Although there are multiple card counting methods out there, the Hi-Lo method is perhaps the easiest of the methods of all to learn. Just like other methods out there this particular method involves attributing a value to each card. In this system, you assign one positive point to every 2, 3, 4, 5 and 6 you see, no points to 7-9 and one negative point to each 10, J, Q, K, and A. Once that’s done, all you need to do is start your count as soon as the dealer starts dealing out the cards from the deck. When he does, you’ll need to assign a count to each of the cards that are given out. You’ll need to increase your bet when the count is positive and decrease it when it’s negative. I.E. Long story short, when the count is high, “winner-winner-chicken-dinner.” When it’s low, “loser-loser….” Time for a boozer? Just kidding, don’t worry we can’t win them all. As we’ve already stated before, counting cards in Blackjack is used as a strategy to give players an edge over the casino. And contrary to what you might think, you really needn’t be a math genius to learn the ropes. All you need to do is follow the 4 steps below and you’ll be well on your way to counting cards. Attribute a Value to Every Card. Increase Your bet when the running count is positive. Decrease your bet when the running count is negative. Before you start counting cards when playing Blackjack, you’ll need to attribute a value to every card in the deck. The values in the Hi-Lo method are generally always the same. When you’ve added value to your cards, you’ll then be able to keep track of the cards that are dealt out. Typically, the count after the count always starts from 0. You’ll need to keep a running count of every card that’s dealt out including your dealer’s cards in order for the running count to be effective. Provided that your final count is positive, you should go ahead and increase your bet. The higher the positive count is the better. And the better your odds of winning are. In this particular situation, the casino will have more of an edge, so you might want to take advantage of it since your chances of winning become even greater than before. If your count is negative, this is not a good time to increase your bet at all. The lower the final count is, the less your chances of winning will be. During this situation, the casino will have quite a high edge over you. Player loses the original bet, but wins 2:1 on his insurance bet, which was 1:2 of the original bet. Losses and gains even out to 0. Player wins the original bet, but loses the insurance money. The player wins 1:2 of the original bet. Player loses the insurance money. The player loses 1:2 of the original bet. Player pushes. No loss or gain: 0. Player loses the original bet, and loses the insurance money. The player loses 3:2 of the original bet. Blackjacks even out, but the player wins 2:1 on the 1:2 of the insurance money. The player wins 1:1 of the original bet. Player wins the original bet at 3:2, but loses the insurance bet of 1:2. Player wins 3:2 of the original bet. Once you’ve learned all you need to know about Blackjack card counting, don’t just head to the casino with your bankroll in hand just yet. Hold your horses; you’ll need to practice your technique first. 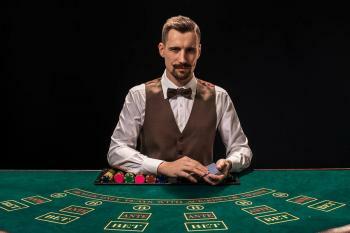 We never advise using a card counting technique at casinos while playing for real money the very first time you choose to implement the strategy. It’s just pure madness. So instead of heading to either a brick-and-mortar casino or a land-based one, go ahead and practice counting cards by using a Blackjack card counting trainer. At GamblingPlanet, we have our very one card counting trainer that you can use. Alternatively, if you prefer an app that you can use on your mobile or tablet, you can find plenty of them on Apple’s App Store for iOS devices or Google’s Google Play store for Android devices. Contrary to popular belief, counting cards at casinos is not illegal. It’s just frowned upon and provided that one of the casino’s employees does notice you counting cards, you might just get kicked out. So the best thing to do is to stay under the radar. Why learn card counting for Blackjack? Learning how to count cards in Blackjack is useful for primarily two reasons. The first reason is that you’re able to manipulate the house edge of course. In fact, players who count cards can get an edge of about 0.5% to 1% when counting cards. 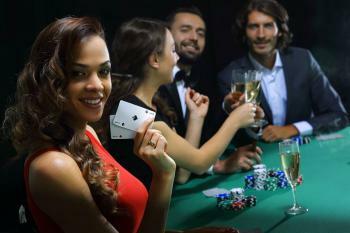 The second is that you can use this strategy legally to win a substantial amount of money at the casino. What edge does Blackjack card counting give you over the house? When using the card counting method in Blackjack, you can expect to gain an edge of 0.5% to 1% over the house. The edge you’ll be able to get correlates to the variant you choose to play. Are there different Blackjack card counting strategies out there? Yes, other than the popular Hi-low method, there are also other card counting methods out there which can be used. These include Wonging, Omega II, the Zen Card Counting System, Ko, Wizard Ace, Hi-Opt I, Hi-Opt II and the Omega II method. Who are the most famous card counters out there? The most famous card counters in history are Edward Thorp, Stanford Wong, Ken Utson and the MIT Blackjack Team. Is there a Blackjack card counting App available to use? Yes, there are plenty of card counting apps that are available to use on the net. Provided that you’d like to practice playing the game while using an app, go ahead select an app like ‘Card Counter Free’, ‘Card Counting Practice’, ‘Blackjack Card Counting’ and ‘Blackjack 21 Professional Simulator’ to practice your strategy. Is it possible to use Blackjack card counting online? It is possible to count cards at online casinos provided that you’ve selected the right variant of the casino game. However, you should be aware of the fact that most online casinos always try to do their best in order to ensure their Blackjack games are ‘card counting proof’. So you might have a hard time finding a variant which is actually great for counting cards. Is Blackjack card counting practice available online? Yes, there are plenty of card counting practice tools you can use to practice online. Among the tools you can use are GamblingPlanet’s very own app which we highly recommend to Blackjack players. Can you count cards in other table games? Although card counting is primarily associated with the table game, Blackjack, you can actually count cards in Baccarat too should you want to. What are the best card counting movies to watch? When it comes to movies, you’re pretty much spoilt for choice. There are so many movies which feature card counting that it’s really hard to actually say which one is best. However, we’ll give you our top picks anyway. Our best card counting movies include ‘Rain Man’, ‘21’, ‘The Last Casino’ and ‘Hot Shoe’. Is there a Blackjack card counting book worth buying? Yes, there are plenty of Blackjack card counting books which explain how to count cards in detail. Among our favorites are ‘Beat the Dealer: A Winning Strategy’, ‘Bringing Down the House’, ‘Blackjack Bluebook II’ and ‘Modern Card Counting’. Learn Card Counting in Blackjack & Pocket the Cash! Card counting can really help you up your game when playing the much-loved game of Blackjack. It lowers the casino’s edge profoundly. Additionally, it can also aid you in limiting your losses and walking out with a prize at the end of the game. And although it might seem complicated at first glance, counting cards is not so difficult to learn. All you have to do is choose the right method for you, learn the ropes and then prefer yourself to have some fun at the casino.